While everyone can use the forums and the full HeroMachine 2 version for free (including all items and features), that free version comes with ads, which we all agree can be annoying. And since the ad needs a certain amount of room in the app, the controls are a bit squashed and the portrait area is not as large as it could be. But since I like to eat, and the ads pay the bills, they're one of those unavoidable necessities of life. Look at all that room! And there's no ad to get in the way of character creation or to irritate you with its obnoxious ad-itude (see what I did there?!). Premium Access is only $0.99 a month, which goes directly to me to help pay the costs associated with running a site the size of HeroMachine. 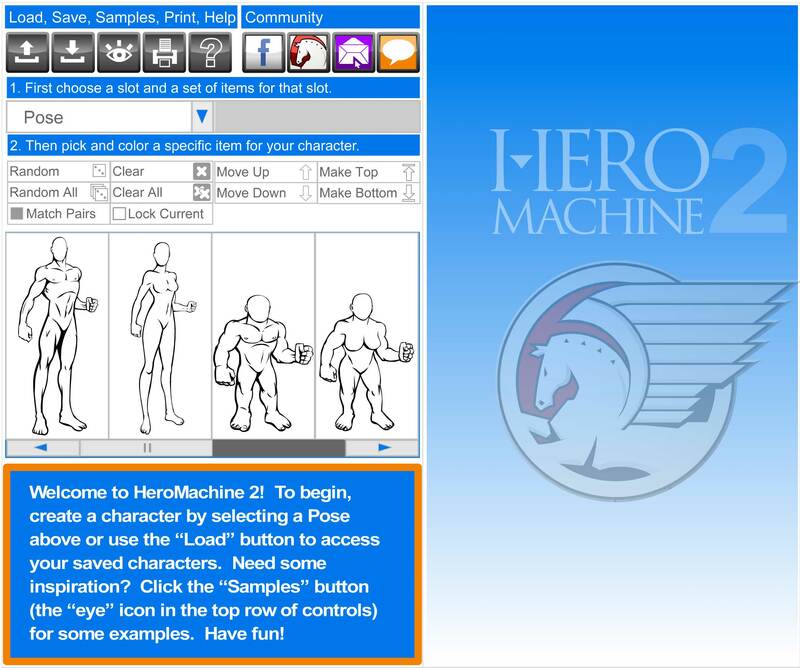 Access to a larger-sized, ad-free version of HeroMachine 2. Access to a larger-sized, ad-free version of HeroMachine 3. A guaranteed warming of the cockles of your heart knowing that you're playing a key role in keeping HeroMachine going. I'm not a doctor, but I'm pretty sure warm cockles are better than cold ones.